May 28th, 2019 will see a new voluntary code come into effect to provide greater protection and a commitment from banks and building societies to reimburse victims of push payment fraud. While the change is welcomed, more needs to be done says data breach specialist Hayes Connor Solicitors. According to data from UK Finance1, which represents 250 firms in the banking and finance sectors, financial fraud increased by 16% during 2018 with £1.2 billion stolen both from individuals and UK businesses. Its Fraud the Facts 2019 reported that push payment fraud had grown by a staggering 50% year-on-year to the value of £354 million over the 12-month period. Kingsley Hayes, managing director at data breach and cyber security specialist Hayes Connor Solicitors, said: “The new voluntary code will be coming into effect following pressure from consumer groups and will deliver greater protection for individuals and businesses who have honestly been duped into transferring often very large sums to fraudsters. “UK Finance data has shown that the split last year was £228 million stolen from individuals and £126 million taken from business accounts via authorised push payments. The effects on both consumers and businesses can be devastating. “Fraudsters are increasingly sophisticated in their methods of extorting money. A recent example has been texts, emails and phone calls purporting to be from HMRC2 trying to convince victims to send their bank details in order to receive non-existent refunds or to click fraudulent links. “These criminals will often contact victims via varying communications methods posing as a trusted source which could be their solicitor, bank or other organisation whom many may not think twice to question or doubt. “Banks have historically been reluctant to reimburse customers who have found themselves victim to this type of fraud arguing that the customer had been negligent. The new rules mean that financial institutions that are signed up to the code will now reimburse victims for any financial loss if they can demonstrate that they have taken reasonable care. “More needs to be done however, to counter scammers’ ever more creative and highly convincing means and methods of stealing significant sums. The new rules will go some way to compensating victims’ financial loss, however, may not consider other losses suffered which can include psychological distress and time taken off work as a direct result of a scam. Prevention is key and wider awareness and vigilance is required. 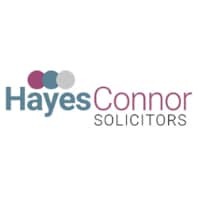 Hayes Connor Solicitors is currently running its #notjusthackers campaign to raise awareness of data breaches resulting from simple human errors and the steps to take to prevent incidents.